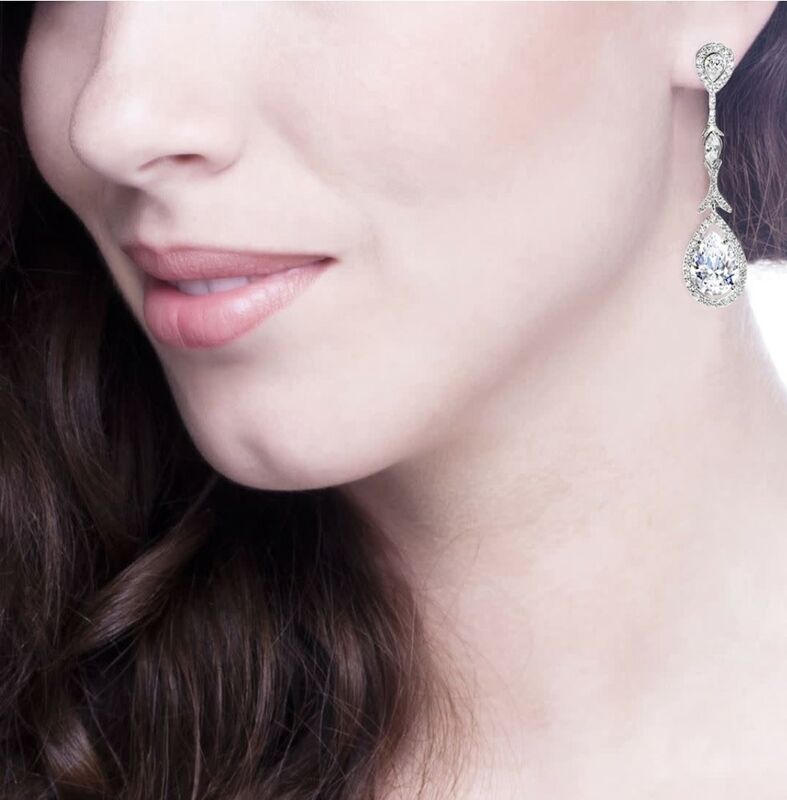 These stunningly radiant teardrops are created with the finest grade cubic zirconia and are set in sterling silver. 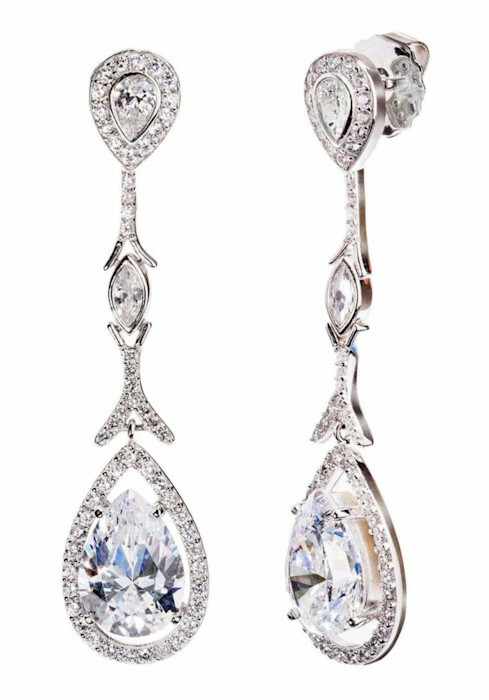 Each teardrop is approximately 4 carats. Elegant pear-shaped posts add an ornate and exquisite detail. Earrings are pierced and hang 2.25 inches long. Earrings are a very comfortable weight. Earrings feature a wider disc backing to ensure they stay upright on the ears and sit beautifully. Please view additional model image for size scale. Earrings may be converted to clips. 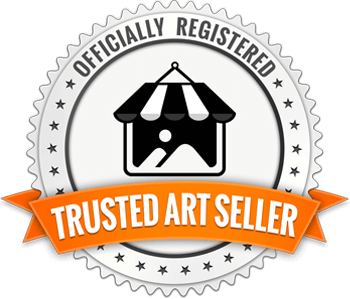 Please call the Gallery at 520-615-3001 to inquire about this service. Earrings will come packaged in a beautiful organza bag with enclosure card, inside of a silver gift box with satin lining and bow.